High Systolic Normal Blood Sugar Level – footsteps…….. Went to this FREE blood test provided by a pharmacy near my house. It has been quite a few years I did not go for this sugar blood test. The result for this test is quite promising. My fasting sugar blood level is 5.1. Between 70 mg/dl (3.9 mmol/L) and 92 mg/dl (5.0 mmol/L) . 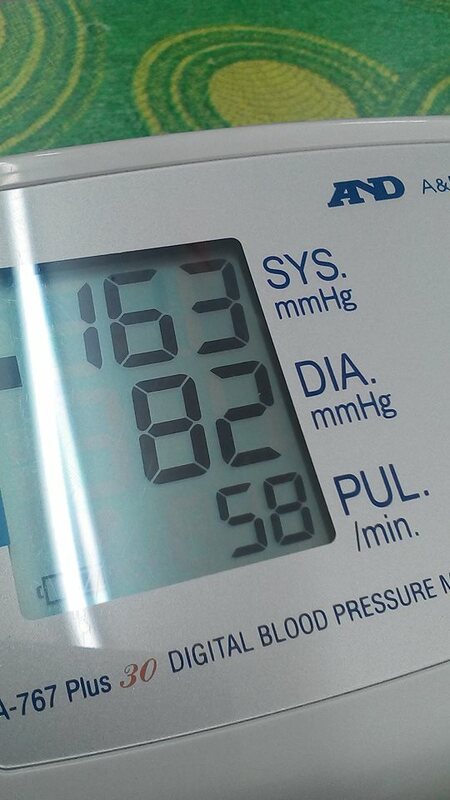 However my Systolic blood pressure is quite high as shown in this photo I captured during the test at the pharmacy. My heart beat is still below 60 and that is after a brief cycling session from my house to the pharmacy. Previous Post Mengapa Gagal Dapat Pekerjaaan?